Recently, a lady at one of my One Minute Workout workshops asked me how to tighten up her underarms and get rid of the “teacher flab”. She had been doing dumbbell triceps extensions for quite some time but didn’t see any improvements. When I asked her how heavy and how many repetitions, she replied 3 to 5 pounds, 20 to 30 times. Bingo! That was her problem. Those exercises weren’t doing anything meaningful for her. In other words, she had been wasting her time! Many people think that light weights and high repetitions is the best way to “tone” muscles and improve the look of a body part. This is false! Unfortunately, many workout programs continue to promote this belief while people wonder why they aren’t getting the results they want. When a body part lacks shape and feels squishably soft, it’s because there is insufficient underlying muscle mass to provide the desired contours. As a result, skin and fat dictate the appearance. Muscles only grow bigger in response to loads (e.g. weight) that stress it enough mechanically to cause individual muscle fibers to break. As part of the normal repair process, the fibers grow back thicker and stronger. When you get tired working against heavy loads, it’s largely because the muscles are no longer strong enough to move it. This is why lifting heavy weights increases the size of your muscles. On the other hand, when you train with light weights, muscle fibers don’t break. Performing lots of repetitions only tires your muscles metabolically, not mechanically. In response, your muscle cells change their metabolic efficiency so that they can perform for longer periods of time before tiring out. This doesn’t increase their size significantly. Your body also learns to move more efficiently, reducing the number of calories spent for that movement. This has no effect on your body aesthetics. Any improvements you may see are from a global reduction in your body fat, which lets underlying muscles show through better. Losing fat is much more difficult than gaining muscle, which can take very little time and effort when done properly. If you’re worried about developing too much muscle and becoming bulky, fear not. Building bulky muscles like a bodybuilder takes significant effort, both in terms of training and proper nutrition. If it were easy to get that big, you’d expect to see many more bodybuilders walking around right? Now, if you’re an endurance athlete, you may think that building muscle mass will weigh you down. While it’s true the heavier you are the more energy you will need to spend, consider the fact that the stronger you are the easier movements become. As your perceived exertion decreases, you will be able to perform longer. Train to increase your strength-to-bodyweight ratio and you’ll improve your endurance performance. 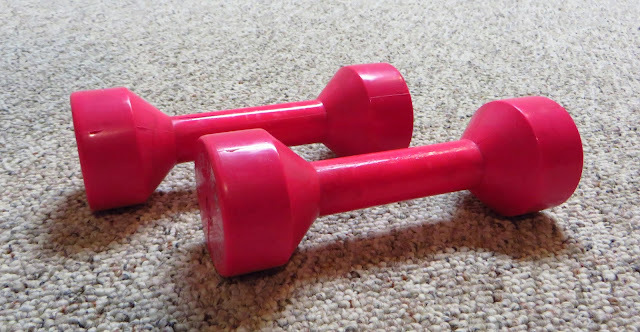 So, the next time you hit the weights, pick ones that you can do for about 6 to 12 repetitions per set. You want to challenge yourself to the point of being unable to complete the last repetition in your set. This means you’ve pushed your muscles hard enough to grow. As your strength grows, increase the weight accordingly. This kind of exercise programming will give you better results and save you valuable time. 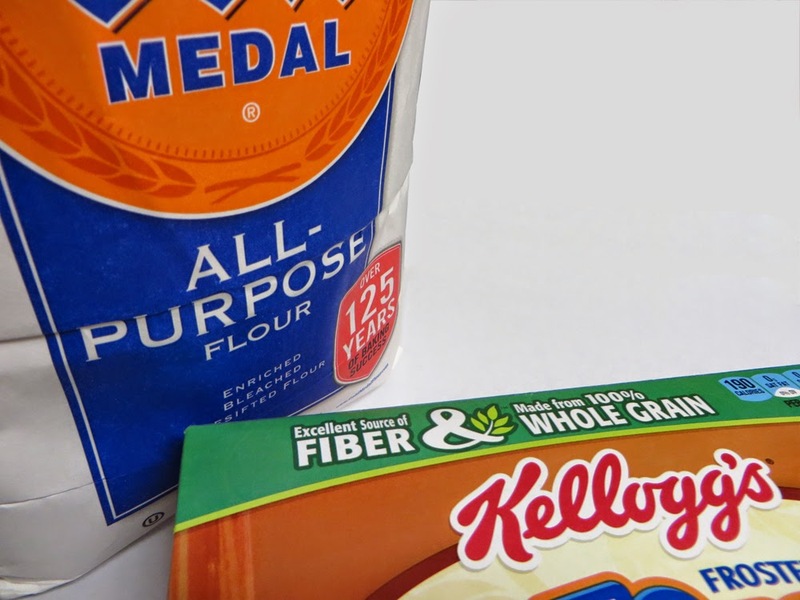 The number of products labeled “whole-grain” is blooming these days. People looking for healthier food are moving away from refined flour products and picking up “whole-grain” versions instead. But are they really better for you? And does it matter? To answer those questions, we need to look at how our bodies process the foods we consume. While our bodies are generally quite efficient at absorbing nutrients and energy from the foods we eat, it’s not 100% efficient. Just because you put 2000 calories into your mouth doesn’t mean your body absorbs all 2000 calories. How many calories your body actually absorbs depends on many factors. For example, the type, amount, and mix of foods you eat affect nutrient absorption. Certain foods are digested and converted to energy more readily while others can slow down the digestive process. The health of your digestive tract can also matter. When you have an intestinal infection or severe food poisoning, food can go through with little of it being absorbed. Even the microorganisms in your gut can affect how much you can extract from your food. If you consider the ease with which your body digests and absorbs nutrients from various “whole-grain” products, it becomes pretty clear which ones can be healthier for you, and which ones are not much different from refined flour products. Digestion takes place in many phases. We commonly think of it starting in the mouth when we chew and mix saliva with the food. This helps break down the food into smaller particles, giving the rest of the digestive process more surface area to work on. However, if you think about it, we often “pre-digest” our foods by preparing and cooking them. For instance, a tough cut of meat can be made quite tender and easy to eat if tenderized or cooked long enough. It’s a similar story with whole grains. Left completely intact, they are quite difficult for our body to digest since each grain has several fibrous outer layers protecting it. 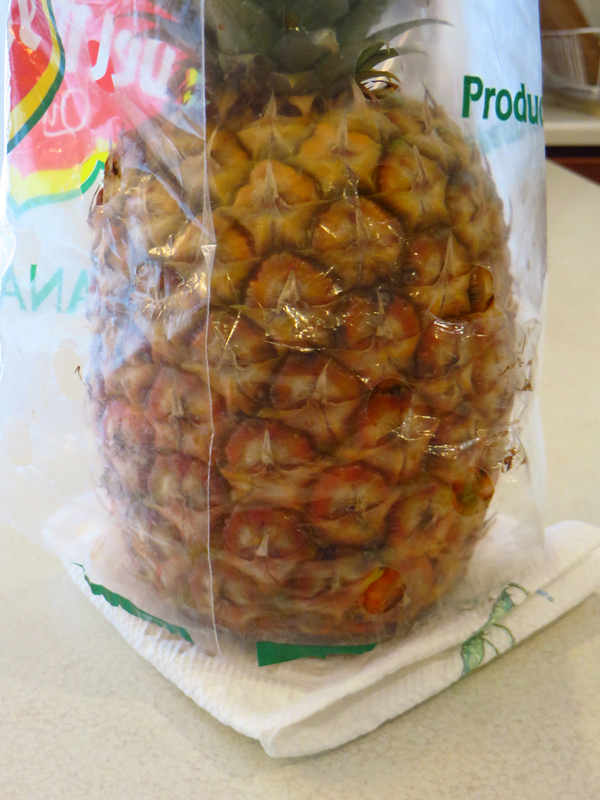 If you don’t chew and break apart the protective layers, the grains go through you relatively untouched. However, when whole grains are ground into whole-grain flour, the fiber-rich outer layers are broken up, exposing the readily-digested carbohydrates inside. White flour takes this “pre-digestion” a step further and removes all of the fibrous parts, leaving a fine powder of quickly-absorbed carbohydrates. Since white flour is so refined, your body will readily digest and absorb it as if you are eating sugar. This is why your blood sugar can spike quickly when eating foods made primarily with white flour. Whole-grain flour is essentially the same as white flour but with the ground-up fibrous parts left in. The presence of fiber in the whole-grain flour may slow down absorption slightly but not to a great extent. So, your body will also rapidly absorb the carbohydrates and cause your blood sugar to spike. Neither option is as favorable as eating intact whole grains. These take longer to digest and therefore affect your blood sugar levels less quickly. So, if you are watching your waistline or your blood sugar levels, consider buying foods that haven’t been “pre-digested” (i.e. processed) as much. Don’t let the marketing on the packaging fool you into thinking a product is healthier than it really is. Think about what the labels really mean, and when in doubt, choose foods that are closer to their natural form. With rising health care costs and health insurance premiums these days, you’ll inevitably be asked whether you will accept a generic alternative for your prescription. Some people will tell you they are clinically the same while others will insist they are not. So who’s right? More importantly, does it matter? The answer to the first question is it depends. It is true that the two have the same active ingredients. But, they may not necessarily have the same inactive ingredients. The answer to the second question is that for most people, these differences won’t matter much since both will provide the same intended effects. However, if you are one of the few people sensitive to certain ingredients, knowing how they can differ can help your doctor and pharmacist find the medication best suited for you. So, how do brand and generic medications differ? The most obvious difference is cost. Generic medications tend to be cheaper since competition between multiple drug manufacturers bring down cost. As a result, insurance companies usually put them higher up on their formularies, or preferred medication lists. This is why an increasing number of prescriptions are, by default, being filled by generic versions. Note that there may be several generic manufacturers with different prices so it’s a good idea to compare options at different pharmacies. In certain cases, prices may be significantly different. Aside from cost, there may also be chemical differences. Medications consist of active and inactive ingredients. The active ingredient(s) is what creates the therapeutic effect. Inactive ingredients make up the vehicle that delivers the active ingredients into your body (e.g. pill, capsule, syrup, etc.) While the listed active ingredients and dosage should be the same between comparable brand name and generic medications, the other ingredients and impurities contained within them may differ. When making the active ingredients, different manufacturers may employ different processes and chemicals. This can lead to different kinds and amounts of impurities being left in the final product. Manufacturers check to make sure these impurities are within safe limits for human consumption. Even so, a small number of people may be more sensitive to the impurities in one manufacturer’s product than another’s and develop unwanted side effects. Similarly, the chemical compounds used to formulate the pills, capsules, and syrups can also differ between manufacturers. Just look at the variety of colors and flavors that medications come in. While most of these chemicals are relatively inert inside the human body, some people may react to them, leading to side effects. Finally, manufacturers test their medications to make sure that the active ingredients are released and absorbed as designed. But in some people, they don’t work exactly as expected. This can lead to the medication having a stronger or weaker effect. Now you know the about the differences between brand name and generic versions of the same drug. But before you tell your doctor or pharmacist to keep your medication manufacturer the same, keep in mind that these differences generally affect very few people. So far, I have only come across a handful of patients in which staying with one manufacturer’s medication was clinically significant. If the medications you are taking are working as your doctor intended, there’s no need to worry. But, if you notice your medications are no longer working as well or you are having new side effects, talk to your doctor or pharmacist. They will be able to help you figure out what’s going on. People often ask me what to do about “weak” wrists. 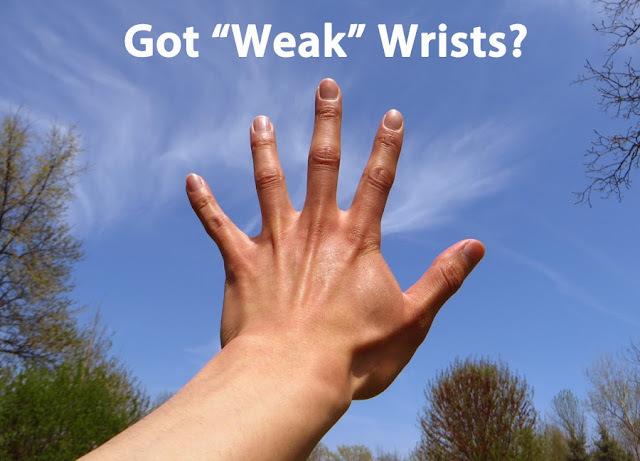 They usually complain of discomfort or even pain in the wrist area when supporting their body weight on their hands, such as during planks, push-ups, and gardening, and other similar palm-pushing activities. As a result, they shy away from those exercises and lose out on their benefits. While you can wear wrist supports or modify the techniques so that they put less strain on the joint, the best thing to do is to increase wrist flexibility and strengthen the muscles that support it. While it may seem simple, the wrist joint is actually quite complicated. It consists of the 5 proximal ends of the metacarpal bones in the hand, 8 small bones in the base of the hand, the distal ends of the 2 long bones in the forearm, ligaments, and joints between all of the bones. As you can imagine, without strong support from the ligaments and muscles, it will be really hard to keep them moving appropriately relative to each other. When you have weak supporting muscles, bending the wrist and placing it under weight can easily move the bones out of alignment, making them hit each other and cause pain. Similarly, if your wrist isn’t flexible enough, the bones will be crushed against each other when placed in stressed positions. Before we go over how to strengthen these important muscles, let’s cover the correct way to push with your wrists extended, such as in a push-up. Contrary to common practice, the hand and wrist should not be relaxed when pushing with your palm. Doing so will allow weight to move your wrist bones out of alignment. It will also concentrate the stress onto fewer joints, increasing the chances of injuring them. Rather, constantly press and flex the entire hand into the ground, distributing the force throughout the palm, bases of the fingers, and the finger tips. This engages your wrist and finger flexor muscles, stabilizing the wrist joint. Left: Pushing down with only the base of the palm provides less stability and concentrates stress into a smaller area. Right: Pushing down with all parts of the hand and fingers increase stability and better distributes the stress. Note the pressure from the fingers indenting the carpet. This technique also improves the stability of your support. Maintaining tension throughout your hand enables you to sense changes and react quickly. This is something I struggled with for a long time when learning the handstand. I used to do them with my hands relaxed, which made it difficult to adjust my balance. In addition, the weight of my body quickly made my wrists hurt. Once I tightened my hand and fingers, improvement quickly followed and the pain went away. Now that you know how to properly push with your palms, you can start strengthening your wrists. It’s as simple as using the proper pushing technique whenever you do planks, push-ups, sit presses, or any other pushing exercises. There's no need to do separate wrist curls with weights. If your wrists are too weak to support that much body weight right now, try doing easier versions of those exercises. For example, you can do push-ups or planks against the wall. Move your legs back and your hands down the wall until you feel enough pressure on your wrists. As you get stronger, you’ll be able to move your hands further down the wall. Alternatively, you can rest your knees on the ground to reduce weight. As your wrists gain strength, move your knees back to increase the difficulty. Don’t forget to stretch your wrists regularly throughout the day. Use one hand to bend the other wrist in all different directions, to the point of tension but not pain. With consistent effort, you’ll notice an increased range of motion and wrist stability. Before long, your “weak” wrists will be a thing of the past. 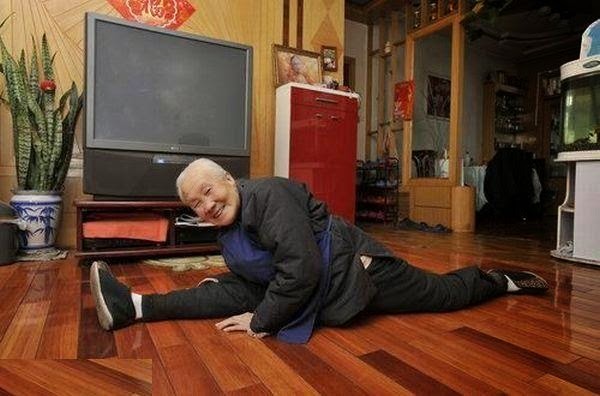 Many of us lose flexibility as we age, which makes us feel even older than we really are. Simple tasks like bending down and tying shoelaces or reaching for a bag in the back seat of the car become harder. Recreational activities grow more daunting as our range of motion and strength decrease. With an increasing fear of injury as we age, many of us shrink away from these health-maintaining activities. Is losing flexibility with age inevitable? No. In fact, there are elderly people who can still do leg splits and other feats of flexibility that even contortionists would find enviable! While most of us won’t need that degree of flexibility, I think everyone would like to keep moving easily and freely even as the years go on. Why do some people stay flexible while others get stiffer with time? While some people are naturally more flexible, the key lies in habits. Just like strength, if you don’t use it, you lose it. Flexibility is largely dependent on the stretchiness of your muscles. Like a rubber band, if you use it regularly, it stays pliable. Let it sit around and it becomes stiff, breaking the next time you stretch it. That’s how you end up with an injury. On the microscopic level, muscles contain bundles of contractile fibers. They slide back and forth, enabling the muscle to stretch and shorten. When used regularly, these fibers slide readily. Through inactivity, these fibers get stuck to each other, reducing the amount the muscle can stretch as a whole. As more fibers get stuck, the less flexible you become. If enough fibers become stuck, you can end up with an immovable contracture. When we were kids, we moved and played a lot, keeping us flexible. Now that we’re older, studying and working take up more of our time. These often stationary activities leech flexibility from our bodies. Stretching helps recondition our muscles and restore flexibility. But if you’re like most people, stretching a couple times a week at the gym fails to undo the damage from countless hours of inactivity. This exceedingly common experience is why people often think the loss of flexibility with age is unavoidable. The best way to counter this kind of damage caused by daily inactivity is to stretch every day. Now, this doesn’t mean you need to do deep stretching sessions every day, which may paradoxically reduce your flexibility. Rather, stretch lightly many times throughout the day, focusing on a different body part each time. Each light stretch helps counter the stiffness that has accumulated since the last stretch. If you sit a lot, stretch standing up. If you stand for most of the day, do some floor and squatting stretches. If you keep forgetting to stretch regularly, try incorporating it into common actions. For example, instead of spinning your office chair around to get the phone, carefully twist and reach to stretch your neck, back, and shoulders. When walking through a doorway, take a second and hold onto both sides of the door frame. Then lean forward to stretch your chest muscles or lean back to stretch your upper back muscles. When you tie your shoelaces or pick up a light object, stretch your hamstrings by bending over slowly with your knees straight or just bent enough to feel a light stretch. Do these little stretches consistently and remember to push your limits slightly each time. This will gradually improve your flexibility. Before you know it, you’ll be moving better and feeling younger. Should You Eat Less Carbs and More Fat? If you’ve been following the health news recently, you’ve undoubtedly seen articles saying that carbs are evil and fats are no longer considered bad for you. They might even cite a study or two that suggests the notion. Considering how tasty fatty foods are, it is understandable for people to want to see these studies as a green light to eat as much fat as they want. Unfortunately, throwing caution to the wind is not wise in this case. To understand why, we’ll have to take a historical look at our diet. Decades ago, dietary guidelines that encouraged eating more carbohydrates and less fat were published in an attempt to reduce the rate of heart attacks and heart disease. At that time, it was believed we were eating too much fat. As a result, we started to eat more carbs and fewer fat calories. However, this didn’t do much to improve heart disease and seemed to have caused other problems such as obesity and diabetes to grow in size. 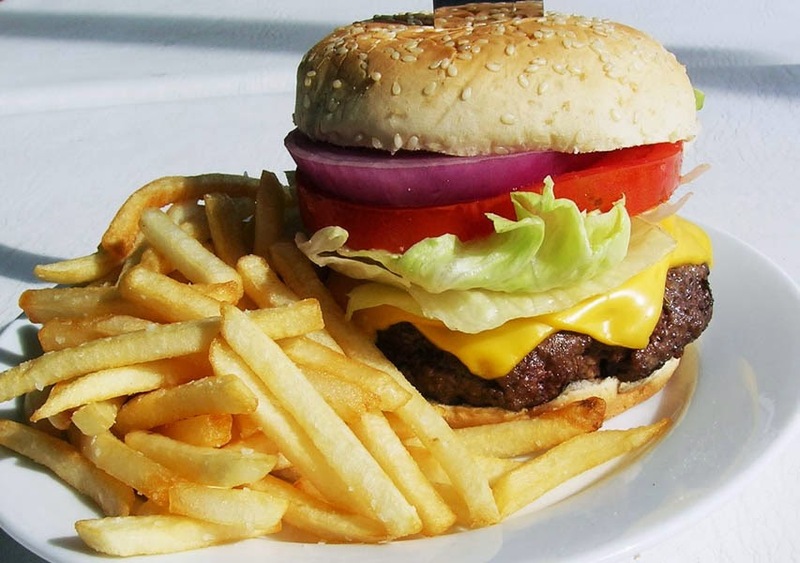 Now, current studies show that the high-carb low-fat diet wasn’t such a great idea after all. Their results suggest that we should eat fewer carbs and more fats compared to that diet. But, they don’t show in absolute terms how much more fat and how much less carbs is healthy. They also don’t prove that a low-carb high-fat diet is good for you. So yes, we should eat fewer carbohydrate calories than before. Yes, we can probably eat more fat than we were told to before. But no, that doesn’t mean we can safely eat as many fat calories as we want. If you think about it, this shouldn’t be surprising. Considering that our bodies need fats, carbs, and proteins to function normally, it doesn’t make sense to deprive it of any one nutrient. Carbohydrates are not inherently bad for us. They are the easiest nutrient for our bodies to extract energy from. In fact, our brains run almost exclusively on glucose, a carbohydrate, for energy. Similarly, fats are not necessarily bad. They are an excellent way for our bodies to store energy and they also provide many other important functions throughout the body. Proteins serve as building blocks and also as a source of energy. On the flip side, too much of anything, nutrient or otherwise, is bad for our bodies. The body can only process so much of any substance at a time. Get too much of it and it becomes toxic. Even absolute essentials such as oxygen and water can hurt and kill us if we get too much of either! We’ve already seen the effects of high-fat and high-carb diets over the long term. Currently, I’m seeing a trend in articles about high-protein diets since people are avoiding carbs and fat. If these high-protein diets become wide-spread for long enough, I wouldn’t be surprised to see future studies showing deleterious effects. At that point, with strikes against carbs, fats and proteins, I wonder what direction the next trend will take. Perhaps then, people will remember that balance is the key to much of life and health. As for now, the next time you see an article about a health food trend, skip the hype and take a step back. Look at the context from which the recommendation is being made and see if it makes sense. If a study is cited, consider looking at the actual publication and seeing what it actually says. It may be quite different from what articles about the study say. You’re at work sitting in front of the computer and your back or shoulder is hurting. This has been going on for longer than you care to remember so you think it’s time to improve your workspace. Maybe you’ll get an ergonomic chair or one of those standing desks. Unfortunately, after you spend all that money, it’s likely that you’ll still have pains, just in different parts of your body. While ergonomic furniture may help, it’s not the true solution to the problem. Why? The problem isn’t your work space, but rather your habits. It’s not just that you’re sitting or standing poorly, but that you’re in the same position for too long. Even if you sit in an uncomfortable chair, you can actually avoid pain if you reposition yourself in your chair and stand up frequently enough. Ergonomically friendly furniture can help you stay in one position longer before developing symptoms, but then that also means you are being inactive that much longer. We’re not meant to be stationary beings. Even when we sleep, we move around quite a bit. And there’s a good reason for this. Our bodies need to redistribute body weight so that pressure points don’t stay on any part of the body for too long. Pressure reduces blood flow to affected body tissue which causes damage over time. If this continues long enough, your tissues actually break down and you’ll develop open wounds called pressure sores. This is what happens to immobile people such as the critically patients in hospitals. To prevent this, our bodies warn us far in advance by sending pain signals and motivating us to reposition ourselves. Don’t ignore those signals and keep working through the pain. Listen to what your body is telling you and move. Some people, such as stroke patients and those with severe Type 2 diabetics, can’t feel the pain and are at high risk of developing these dangerous sores. If you have one of these conditions, you need to be even more vigilant and proactive about changing your position frequently. Positional pain can also come from your muscles and joints. Muscles help maintain posture, both good and bad. When we stay in a position too long, muscles get tired and the weight it was working against is dumped onto your joints. Your joints are not meant to handle this kind of load for long periods of time and become damaged, leading to pain. In addition to joint pain, your muscles can also become stiff, causing the common muscle tightness and cramping between the shoulders and lower back. Ergonomic furniture helps reduce the stresses on your body by distributing your weight better and supporting your posture to reduce the tension on your muscles. However, no matter how much the furniture helps, the fact remains that there is pressure and tension on your body. The only way to prevent positional pain is to move. So, the next time you start feeling your leg go numb or your shoulders tighten up, stand up (or sit down if you’re standing)! Move around, take a few steps, or even do some light stretching or some exercises, such as those from The One Minute Workout. This will not only resolve your symptoms, but help you perform better by increasing blood flow throughout your body. As a bonus, physical activity will also help your brain change states, which may help you figure out a problem you’ve been stuck on! I remember first learning about pull-ups during the physical fitness tests back in grade school. A repetition only counted if your chin went above the bar so there was lot of neck craning and leg kicking during those gym class pull-ups. When scrawny kids are only trying to beat their friends, they don’t care about form or the benefits of exercise. As adults, pull-ups are no longer a mandatory activity (unless you’re in the military), and are a great way to build strength and functionality. Despite the change in goals, we often stick to doing them the way we first learned them, stopping with the chin just above the bar. While still effective, I would argue that this isn’t the most effective use of your time and effort. Instead of artificially stopping with the chin just above bar-level, why not keep going? A chin-level pull-up is actually less than half of the range of motion that our arms are capable of. You can actually keep pulling higher until your lower chest is at bar-level. As you can imagine, this is even more difficult, which means a better workout for your muscles, and more bang for your workout time. But it doesn’t stop there. If you keep going up, the movement transitions from mostly pulling to a pushing movement. That means you can work on even more muscle groups with the same exercise! At the very top, you’ll be supporting your body weight on the bar with your arms straight down, just like the top of a dip. 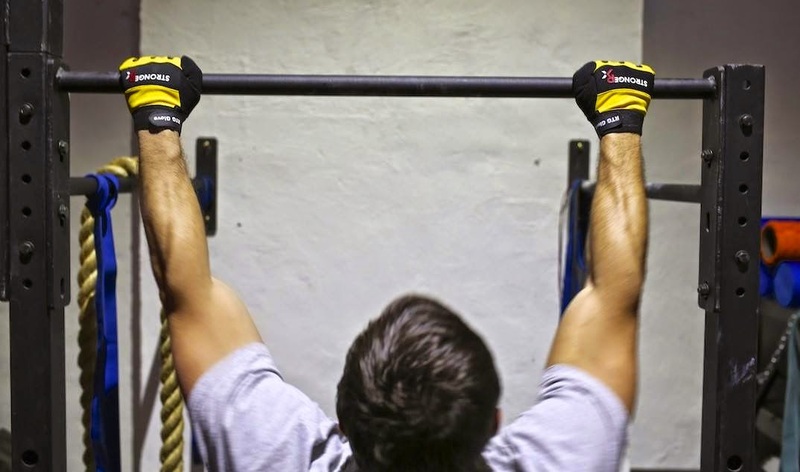 This combined pull-push movement is called a muscle-up. When done in a controlled manner (little swinging or momentum), you can develop great strength throughout the entire range of motion with this exercise alone. I emphasize the importance of relying on momentum as little as possible since that works your target muscles maximally and imparts the most strength building benefit. Just as in grade school, going quickly, kicking, or kipping like you often see in CrossFit may help you notch a couple more reps but that doesn’t maximize the strength-building benefits for your time spent. Besides looking cool and being more time efficient, muscle-up training imparts more functionality. Training this combined pull-push movement erases the strength gap that most people have when they are transitioning between pulling and pushing. This means better performance for many sports. For those of you who like more extreme sports, it’s also quite handy if you ever find yourself hanging off a building or cliff and need to climb up. So, the next time you do pull-ups, don’t stop at the chin. Keep going up as high as you can. You may not be able to do as many repetitions this way but you’ll gain more benefit in less workout time. For the best muscle-up I've seen to date, check out the video of Olympic gymnast Andreas Aguilar below. The applause is definitely well-deserved! Lifting Patients Too Dangerous To Be Done Safely? A few weeks ago, I came across an article titled “Even‘Proper’ Technique Exposes Nurse’s Spines to Dangerous Forces”. Not unexpectedly, it started with the story of a nurse that was injured on the job while trying to help move a patient in the intensive care unit despite using the “proper lifting technique” taught in nursing school. The injury was quite serious, requiring several surgeries, and jeopardized her career. The article then talked about a research study that suggested it is impossible to lift patients safely with just human body mechanics. It went on listing several reasons why and also described the compressive forces that people’s spines are subjected to when lifting patients. It even noted that lifting in teams does not reduce those forces to safe levels while increasing shear forces, a force our spines are more vulnerable to. It basically concluded with the idea that we need mechanical patient lift devices throughout the hospital to make it safer, but not necessarily 100% safe, for workers to move patients around. As I read the article, I reflected on my experiences working in the hospital, especially the times I helped move comatose patients weighing 300, 400, or more pounds. I’ll tell you, it’s definitely not easy to do, even with 4 or more people. Most healthcare professionals know what proper lifting mechanics should look like but with the way patients are located and positioned, it is not always possible to use optimal lifting mechanics. If you’re lucky, you may have a patient hoist handy but even then it’s not necessarily trivial getting a person into it in the first place. Sometimes you are able to figure out a way to use bed sheets and have enough people around to help push and pull, slowly working the patient into the best position for the actual move. Whatever the situation may be, lifting a person is nowhere near as mechanically simple as deadlifting a barbell at the gym. So what’s the answer? I don’t know if there is a failproof solution, at least not with our current technology. Mechanical lifts will definitely help but there are limits to those. First of all, they are quite expensive so they aren’t available everywhere in the hospital. Second, they do have weight limits which some patients exceed. Finally, there is always the issue of getting the patient loaded onto the lift. Despite these problems, hopefully they’ll become more widespread so healthcare professionals can work more safely, and for longer. Meanwhile, I strongly urge all of you to do your best to stay in good physical condition. It is your best chance of protecting yourself from serious career-ending injury. Make sure you exercise regularly. When you work out, focus on your functional strength throughout your entire kinetic chain. Substantial core strength and a strong kinetic chain will help reduce the micro-damage on your spine when lifting patients. The less damage you take, the less likely you’ll suffer a debilitating injury. DO NOT just do cardio. Cardio is not going to help you here and it can actually make things worse if you ignore strength training. As a healthcare professional, you’re probably very busy. But for you, exercise is not a luxury. It is a necessity. Think of it as part of your job. It’s no longer just about looking good, but keeping you, your career, and your patients safe. My first article about shoveling snow described a technique I use to shovel faster with less stress on the back. That technique works great with lighter snow loads. We’ve been getting more snow in the Midwest recently so I wanted to go over another technique I use for heavier snow falls. In the first technique, the back hand is tucked in front of the hip to better control the shovel. The other hand holds onto the shovel as close to the other end as is comfortable. On most snow shovels, this means the forward hand is still a distance away from the snow. While this is fine for lighter loads, it is less effective for heavier loads due to leverage issues. To adjust for this, move the forward hand almost all the way to the snow end of the shovel and let the back hand go back behind your hips. This allows you to keep the load as close to your body as possible when lifting. When you stand up and lift, keep the front arm straight so it acts like the hoist lines on a construction crane. This will reduce the work your smaller arms muscles need to do. On a crane, the lifting isn’t done by the hoist lines but rather by the motor that winds it up. The lines just transmit the forces to the load. In this case, the “lifting motor” is your legs and your torso and arms transmit those forces. Your back hand functions to keep the shovel level and to steer it when you throw the snow away. When you pivot to dump the snow, you can use your hips and torso together. Since the load is essentially next to your body, twisting your torso won’t be as stressful on your body compared to the other technique where it is farther away. This method should feel similar to lifting a box with proper form (using the legs, not the back). Your back and other core muscles just function to maintain your posture. They don’t do any lifting. Finally, since your center of gravity is kept near your center of balance throughout the technique, you don’t have to reset your balance for each load. Essentially, you are just doing leg squats with weights. This allows you to perform each repetition more quickly. Remember, if the snow is particularly heavy or high, shovel each spot in layers. Work all the way vertically down the snow pile before moving your forward. This technique is especially well suited for working vertically through snow since you don’t even need to move your feet for each repetition. Use this technique and you can plow throw piles of snow in record time! In my last article, I covered how to pick cold medicines for coughs. Now, we’ll go over medications for other common cold symptoms. Stuffy noses and sinus congestion is caused by swelling in the mucous membranes lining the nasal cavities. Besides making it harder to breathe, it can prevent drainage of excess mucous, leading to build up and painful pressure. Given enough time, germs living in this retained mucous can fester and cause sinus and ear infections. If your symptoms are unbearable, you can consider trying a nasal decongestant. 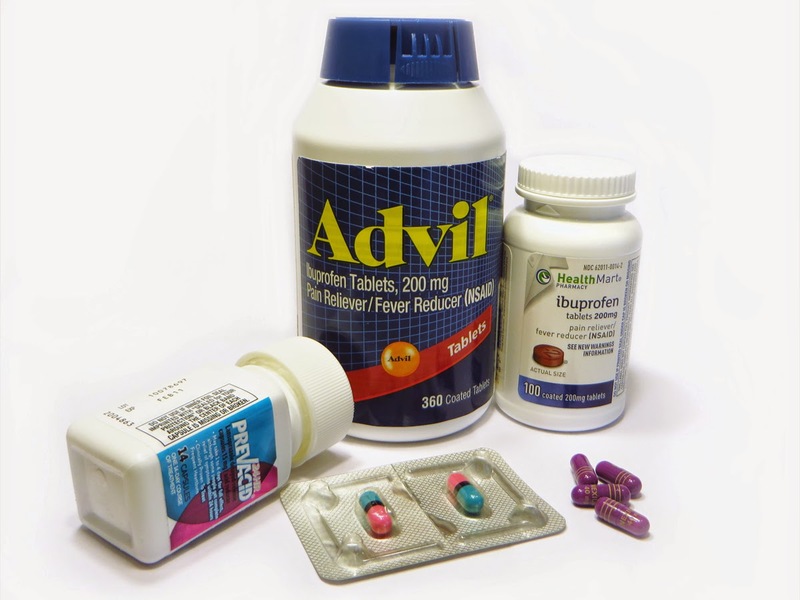 Pseudoephedrine and phenylephrine are commonly found in oral cold medicines. Both have vasoconstricting properties that shrink blood vessels and may help reduce swelling in the mucous membranes. However, they can also raise blood pressure so if you have blood pressure issues, be sure to check with your doctor first. 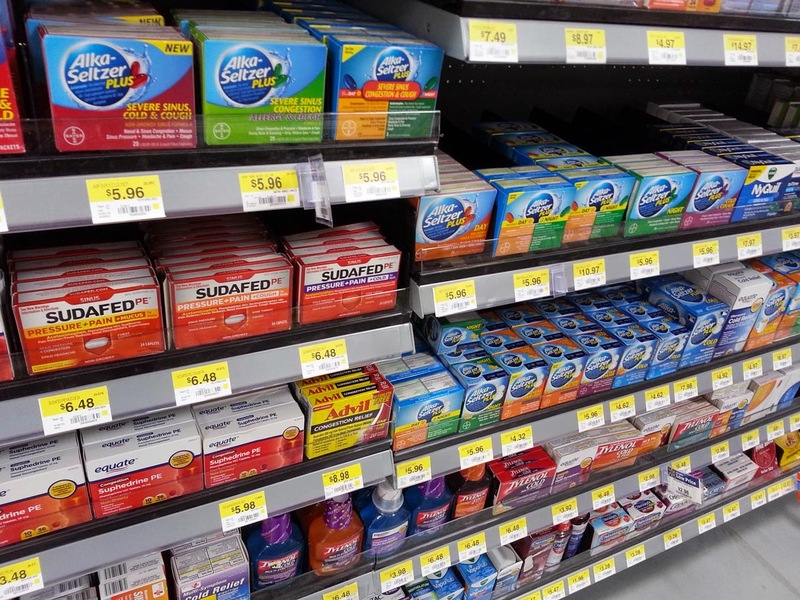 Research studies suggest pseudoephedrine is the more effective of the two but due to concerns of people converting it into illegal drugs, you’ll have to ask the pharmacist for it. Phenylephrine has not been shown to be more effective than placebo but if it works for you, that’s all that really matters. You can also find nasal decongestants as topical sprays that you squirt into your nose. Oxymetazoline is a common active ingredient in these sprays. Effectiveness varies from person to person so you’ll have to try it to see if it works for you. Follow the directions and do not exceed the recommended dosage. Otherwise, you’ll have a higher chance of rebound nasal congestion when you stop using it, even after your cold is gone. If you have a runny nose or sneeze frequently, you can try medications that contain an antihistamine. Although histamines are responsible for these symptoms when you have allergies, they have not been shown to be involved during a cold. Despite this, the older generation antihistamines used in allergy medications may help reduce symptoms in some people. If your runny nose becomes intolerable, you can consider trying an antihistamine, such as chlorpheniramine which is commonly found in OTC cold medicines. Please keep in mind that antihistamines may make you drowsy so be careful when using them and heed the safety warnings. On the other hand, when your cold prevents you from getting enough rest at night, this side effect may be helpful. You’ll often find diphenhydramine, also known by the brand name Benadryl®, in medications marketed as night-time cold medications. Fevers are common with bad colds and especially the flu. Since it is one of your body’s methods of fighting the germs causing your illness, you generally don’t need to treat a fever. But if the fever and accompanying chills are making you miserable, you can consider taking an antipyretic (fever reducer) such as ibuprofen or acetaminophen, the active ingredient in Tylenol®. Never give aspirin to children with fevers or suspected viral illnesses as it can potentially cause a serious and even fatal reaction known as Reye’s Syndrome. Finally, you may have aches and pains, called myalgias, with your cold. They are generally short-lived but if they become too bothersome, you can consider taking an analgesic such as ibuprofen or acetaminophen. When taking these pain killers, make sure you follow the directions. Do not exceed the maximum daily dosage among all of medications you are taking since that can lead to serious organ damage. Also, do not drink alcohol when you are going to, or have taken, acetaminophen. This can lead to serious and even fatal liver damage. Remember, always consult your healthcare professional if you are unsure whether a certain medication is appropriate for you. 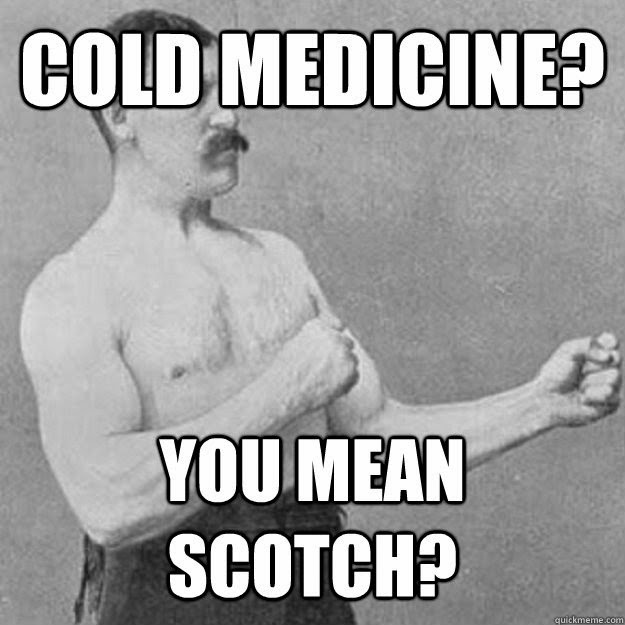 You or a loved one has a cold—almost inevitable in the wintertime. I’ll bet you’ve gone to the drugstore before and stared at the staggering number of medications which all claim to cure your cold. Will the “runny nose, sneezing, congested chest” version work better? Or the “cough, stuffy, runny nose” combination? Worry no more. I’m going to break all of it down and make it simple in this series of articles. The first thing to do is to make a list of your symptoms. This will tell you what to look for. When you get to the pharmacy, forget all of the marketing copy on the front of the boxes, which can be confusing. Instead, pick the boxes which list your symptoms, then flip them over and look for the active ingredients. These are all you really care about. 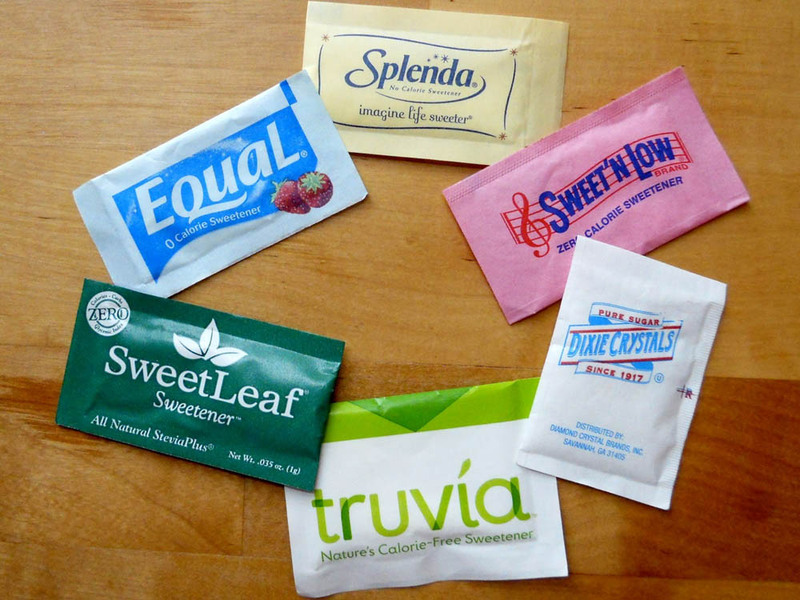 There are actually only a few common active ingredients that companies basically sell in various types of packaging and doses to confuse the consumer. Pick products which contain the active ingredients that will help your symptoms. Compare similar products to see which one has larger amounts of each active ingredient per dose as it will likely be more effective. Avoid products that have extra active ingredients that you don’t need, such as caffeine, fever reducers, allergy treatments, or sleep aids. Medications are NOT necessarily harmless so you should try to take the minimum possible. In this article, we’ll cover medications for coughs, and we’ll talk about other symptoms next time. Coughs can be either productive (“wet” or “phlegm-y”) or non-productive (“dry”). A productive cough means your body is trying to get rid of the germs and mucus in your lungs and airways. The faster you can clear it out, the faster your body recovers. If the phlegm is too thick to cough up easily, then you may need an expectorant. Expectorants help thin out the phlegm so that it is easier to cough it out. One of the most common expectorants found in over-the-counter medications is guaifenesin. Be sure to follow the directions in the box and drink plenty of water to help the expectorant do its job. Be careful of products that include both guaifenesin and dextromethorphan because you generally don’t want to use them together at the same time. The last thing you want for a productive cough is to take a suppressant that prevents you from clearing the phlegm out. This will give the germs more time to fester and allow the phlegm to thicken, making it even harder to cough up. All of this essentially prolongs your miserable cold. If guaifenesin and dextromethorphan do not provide enough relief, then you may need a stronger cough medicine prescribed by your doctor. There are several prescription-only options with the opioid-type medications (e.g. codeine) being quite effective but with potentially dangerous side effects, such as slowed breathing, constipation, and urinary retention. As usual, before starting a new medicine, be sure to check for contraindications and interactions with your current medications. If your symptoms persist or fail to improve, you should consult your physician. In the next article, I’ll cover some over-the-counter medications indicated for other cold symptoms such as runny noses, nasal congestion, and fevers. Found at the beginning of each Progression Chapter. Use it to jump quickly to any exercise in the chapter. Making the Exercise Map clickable just didn't work consistently across the many Kindle platforms. This was the next best thing. Located at the top of each exercise entry. Use it to go back and forth quickly through the exercises or jump back to the start of the chapter. We tried adding a table of contents just for the exercises but with so many exercises in the book, it actually took many more clicks to get to many of the exercises compared to going through the book's table of contents and the Exercise Links Menu. If you have any comments, questions, or suggestions, let us know. Spread the word and don't forget to share your copy with those you care about! Since we’re still in New Year's Resolution season, let’s talk about a common goal: weight loss. While many of us would like to be healthier and look better by losing some weight, I think it is critical NOT to set that as the only measure of success. 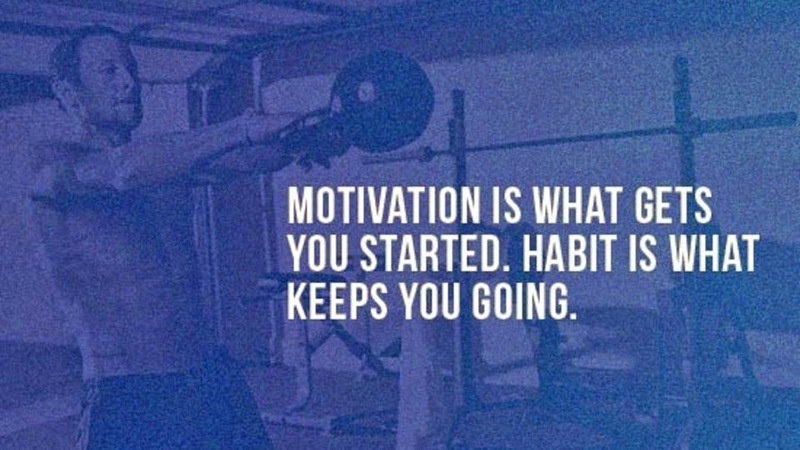 Doing so can make it much harder to stay motivated and stick with your resolution. Why? Your body weight is affected by a myriad of factors, making it difficult to control precisely. How much you eat, drink, and exercise can certainly affect weight. But some factors are out of your direct voluntary control, such as how much and when your intestines decide to empty. Your body weight will normally vary a couple of pounds in either direction throughout the course of a day. Across the days of any given week, it can go up and down significantly even if you eat, drink, and exercise the same amount every day. If you only use your weight as the sole measure to see if you are making progress each day, you’re going to be in for a lot of disappointment. Your weight is just not going to trend down smoothly day after day even if you are doing the right things. Sometimes you’ll be frustrated when it won’t budge for a while. Other times, you’ll be excited when it drops a few pounds in one day, but then devastated as it creeps back up several pounds as it normalizes over the next few days. All of this can make you want to give up before you’ve made enough progress to see a consistent trend toward your goal. Instead, I suggest setting goals that include several different kinds of measurements. For example, try to improve your running pace or distance in addition to losing weight. You can also try increasing your strength or flexibility. You’re inevitably going to have good days and not so good days. On a good day, you’ll see improvement in many, if not all, of those measurements. But even on a down day, you’ll still likely see progress in at least one of the measurements. You’re much less likely to have a day where progress in all measurements stall or regress. Seeing progress in even one measurement will help keep your motivation up and keep you from becoming discouraged by the apparent (but false!) lack of progress. I’ve personally been using this technique for years and find it very helpful in staying on track. Give it a shot and let me know how it works for you. “I’m going on a diet!” That’s the first thing most people say when they want to lose fat or weight. But if that’s the first step you take, you’re already doing the wrong thing and setting yourself up for failure. Let me explain why. 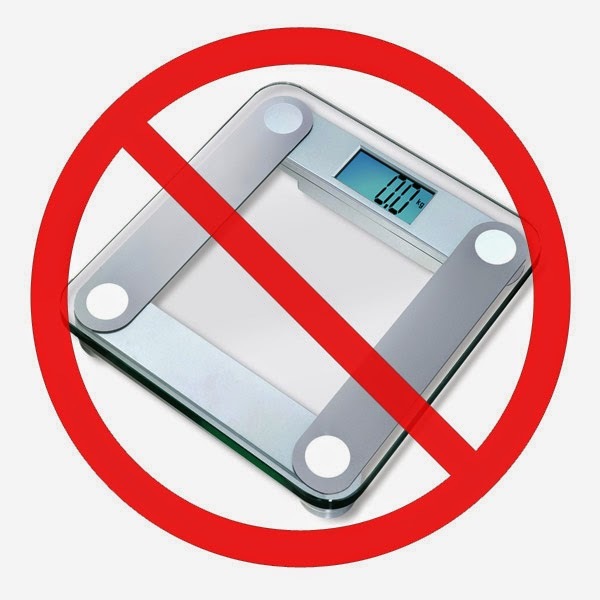 Losing weight is as much a mental game of desires and discipline as it is a physical game of calories eaten and burned. Your body weight and composition reflects your inputs and outputs over time. If you change any of these for long enough, your weight will change accordingly. So, with enough time, any sort of change in diet will change your weight. But once you go back to your previous way of eating, your weight will return to that weight. For example, you may lose a few pounds by starving yourself for a day or two. But when you stop fasting and go back to eating like you used to, you will return to your pre-starvation weight a few days later. All of that suffering will have been for nothing. Fortunately, the same thing happens if you eat too much for a day or two. While your weight may go up for a few days, you can return to your pre-feast weight just by going back to your previous eating habits. So don’t freak out and punish yourself for indulging once in a while! Now, how does this relate to going on a diet? 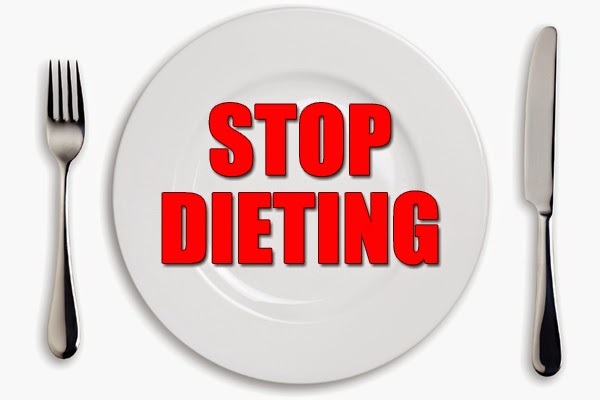 When most people say “I’m going on a diet”, they are implying making a temporary change to their eating habits. Since they think it’s only going to be temporary, they’ll try almost anything to reach that arbitrary target number. Once they reach their target weight, they go back to their pre-diet eating habits. And to their dismay, their body goes back to the pre-diet weight. This is the #1 mistake people make when attempting to lose weight: trying to make a permanent change in their body by making temporary changes in their actions. So, if dieting doesn’t work, what can you do? Rather than “going on a diet,” use the following mindset: “I’m going to change my diet!” This implies making permanent changes which will yield lasting results. In the end, this is what we really want for our looks and for our health. With that in mind, choose methods that you can sustain indefinitely right from the beginning. In my book, The One Minute Workout, you’ll find a whole chapter called “What Should I Eat?”on making sustainable changes to your eating habits. One of the simplest techniques from that chapter that you can use right away is to only make small changes at a time. Doing so will enable your mind and body to adjust to the changes and allow them to become part of your eating habit. This is a lot easier than “going on a diet” where you do will-busting things like starving or depriving yourself of your favorite foods! Did you promise yourself to get in better shape or lose weight this year? If you’re like most people around now, you're really motivated and might even have a workout plan in mind. But will you be able to stick with it and reach your goal? More importantly, once you get there, can you maintain your results indefinitely? This is the biggest problem with fitness resolutions and many workout programs. We all want to be healthier (and look better!) but we often don’t plan for the long term. What really matters is your current state of fitness and how long you can stay in shape. You could have been the fittest person on earth a couple of years ago but if you’re overweight and out-of-shape now, then your health is still at risk. Long-term success is the result of consistency and a fail-proof way to be consistent is to turn productive actions into habits. When something becomes a habit, it becomes second-nature and requires much less, if any will power to do it. It takes priority in your mind over other obligations that compete for your time and attention. This is why people with good workout habits always seem to find time to exercise while others can never find the time and make excuses. When you decide to get in shape, you may be tempted to jump right into one of the many intense workout programs out there. And that’s fine if you can do them consistently. Just make sure you don’t go overboard and end up injuring yourself as that’s the fastest way to sabotage your resolution. Keep in mind that the novelty of the workout and your enthusiasm is inevitably going to wear off. 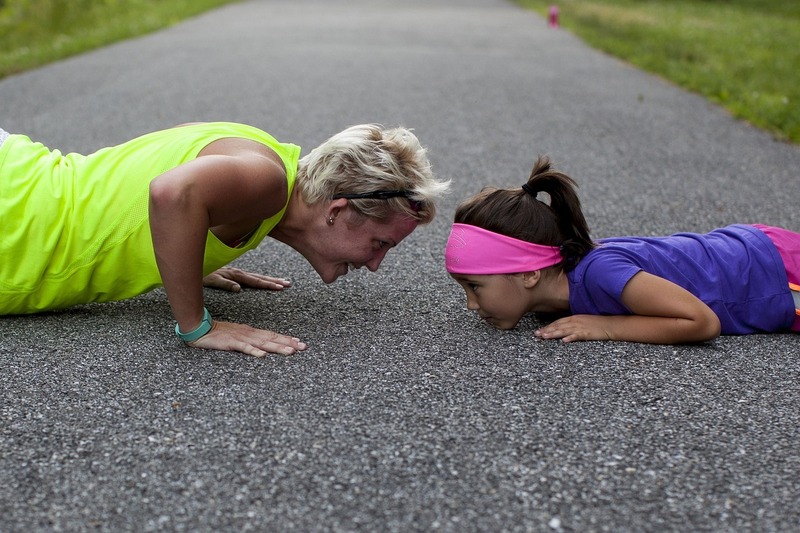 The boot camp or workout program you saw on TV is going to seem a lot less fun and become a chore, especially as other obligations pop up and consume your valuable time. If you haven't established a workout habit, then there is a very high chance that you’ll stop doing it sooner or later. When that happens, any benefits you may have gained start going out the window, as though you never worked out. A better idea is to ease into working out so it’s easier to establish a workout habit. Start with a regimen that is easy to fit into your schedule. This way, it’s not a Herculean task to regularly carve out time for your workout. Don’t choose exercises which are too easy since you’ll be discouraged by the lack of noticeable results. Also, don’t pick excessively intense workouts, unless you like frequent next-day soreness. Instead, do exercises that push your limits just a bit. This will give you more positive results and less negative effects. As you get in better shape, increase the intensity of the exercise but NOT the time spent working out. This keeps the results coming without growing your workout into an unmanageable time-sucking chore. In other words, work out smarter, not longer. 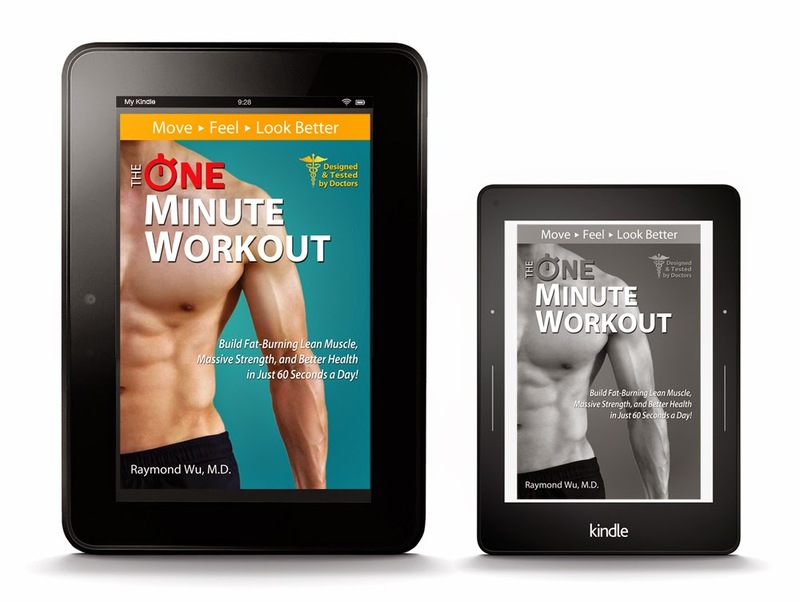 If you’re looking for a sustainable workout that grows with you, take a look at The One Minute Workout. This time-efficient workout system (just 60 seconds a day) grows with you as you progress and is a great way to establish a workout habit that you can maintain indefinitely. If you end up using another workout program, remember to choose wisely and think about the long-term. Be consistent and don't let exercise consume your life. Time-limited programs such as the 30-, 60-, or 90-day challenges can be good but you'll need to keep working out even after the program is over. If you can't keep up with your workout, use something simpler like The One Minute Workout to maintain your gains. We just had our first snow in the new year here in the Midwest. What a way to start off the new year. Snow and snow shoveling are simply a fact of Midwest winters. But that doesn’t mean you have to strain your back shoveling when the next snow storm comes to visit. In fact, you can turn it into a good opportunity to build some core and leg strength. The key to shoveling snow safely is doing the heavy lifting with your legs. Your back isn’t meant to lift heavy objects. It’s especially tough with heavy snow perched far away at the end of your shovel—talk about poor leverage! Rather, your back and other core muscles (abs and obliques) are for maintaining your posture and enabling efficient transfer of forces through your body. In the case of shoveling snow, that means transferring the lifting power generated by your legs to your arms and hands. With that in mind, let’s go over a better and safer way to shovel snow. Stand near the snow to be shoveled and place your left hand on the handle of the shovel. Keep this end of the shovel tucked against your body in front of your hips. This enables you to use your body weight effectively to maneuver the snow. Next, place your right hand on the shaft of the shovel, as near to the blade of the shovel as is comfortable. This arm only controls the shovel, rather than bending and lifting the snow, which is the job of your legs. Now for the placement of the feet, which is important for balance and power. Put your right foot forward and left foot back in a wide stance. Then, squat down by bending your knees until the shovel touches the bottom of the snow. Keep your back as upright as you can; bending at the waist will lead to back strain. Center your weight between your feet to maximize stability and minimize the strain on your back when you lift. Push the shovel forward to load it with snow. Then, stand up by straightening your legs, keeping the front arm straight and back hand tucked into your hip. This movement should feel similar to picking up a heavy box with proper technique. To dump the snow, simply pivot to the side by twisting your hips, not just your torso. For those of you familiar with martial arts, this movement is similar to the hip pivot from a back (60/40) stance to a high front or bow stance. Reset to the starting position and you’re ready for the next load. If you get tired on one side, switch your hands and feet and use your other side. This technique minimizes movement of your back and smaller arm muscles, leaving the heavy lifting to your stronger leg muscles. It also uses your hips as a brace to reduce the effort needed to maneuver the loaded shovel. With a little practice, you’ll find that you can shovel snow faster since you don’t have to move as much with each repetition. As a bonus, you’ll get a great core and lower body workout at the same time! If your legs aren’t strong right now, consider preparing for the snow by doing some leg strengthening exercises such as the Squat Progression from The One Minute Workout. Strong legs will help with everything, not just shoveling snow. Remember, if the snow is deep or especially wet, work your way down in layers. There is no need to do the whole job at once. Take breaks as needed and go inside to warm up. And don’t forget to stay hydrated! When it is cold outside, it’s amazing how much sweat you can work up without noticing it.